Liam Gallagher’s reaction about ‘Supersonic’ premiere in London. 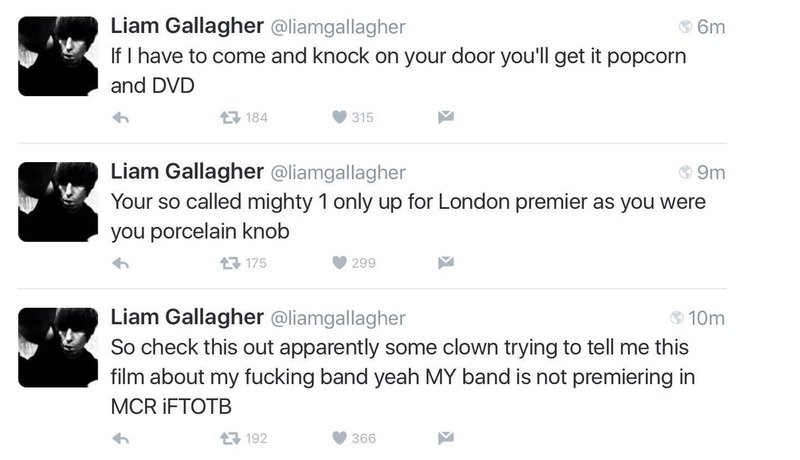 Using his Twitter account, Liam Gallagher shows all his disappointment about the premiere of ‘Supersonic’. The documentary will be broadcasted for the first time in London instead Manchester, the city where his band born in 1992 and where Oasis former singer thought it would take place.